LIKE EVERYONE ELSE FOR ME STRESS=SPOTS!!! AFTER A VERY STRESSFUL PERIOD EARLY THIS YEAR, I STARTED TO HAVE MORE AND MORE BREAKOUTS ON MY FACE. I HAVE TRIED SO MANY DIFFERENT LINES FROM MID-RANGE TO TOP END BUT NONE OF THEM SEEMS TO WORK WITH ME. BY CHANCE, I HAVE DISCOVERED AN AMAZING BEAUTICIAN HERE IN MY HOMETOWN. THE GORGEOUS BARTA! 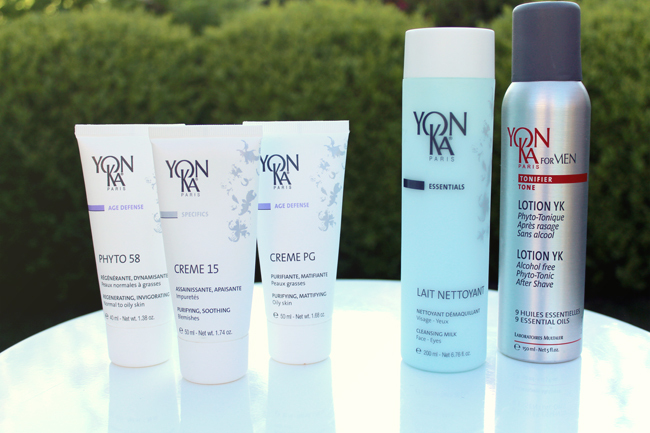 SHE IS USING PHYTO-AROMATIC PRODUCTS AND TREATMENTS FROM YONKA PARIS. I LOVE YONKA!!! A REAL MIRACLE, IN LESS THAN ONE MONTH, MY FACE BECAME AS CLEAR AS BEFORE! THIS SILKY MILK CLEANSES YOUR FACE AND IT RINSES OFF WITH WATER AND LEAVES YOUR SKIN CLEAR, SUPPLE AND COMFORTABLE. 2. 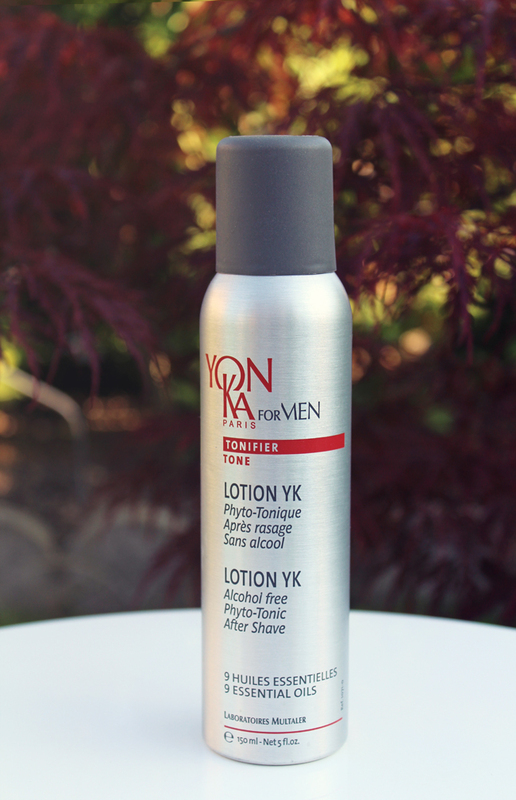 LOTION YK / PHYTO-TONIC, SOMETHING FOR THE GUYS! LOVE IT! IT'S A MEN'S SKIN FITNESS ALCOHOL-FREE TONIC WITH NINE ESSENTIAL OILS. HELPS TO CALM, SOOTHE, FIRM UP AND DELIVE INSTANT RELIEF FROM RAZOR BURN. AMAZINGLY REFRESHING ANY TIME!!! MY MIRACLE CREAM! 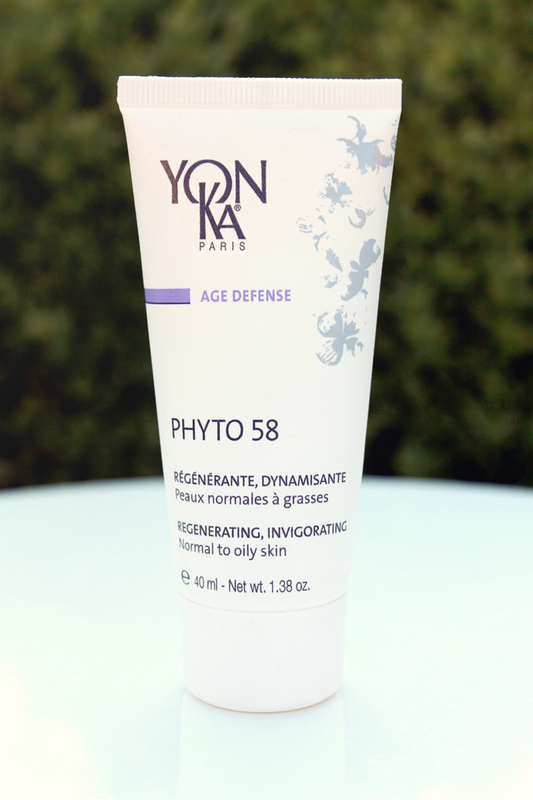 AN ALLY TO BLEMISH-PRONE SKIN, THIS PURIFYING CREAM BALANCES, SOOTHES AND SANITIZES YOUR SKIN. TO PUT ON EVERY SPOT, MORNING AND EVENING. IN ONLY 1 OR 2 DAYS, YOUR SPOT WILL DISAPPEAR! ONE OF THE MAIN CHARACTERISTICS OD ASIAN SKIN IS TO PRODUCE EXCESS OIL SEBUM. TO START THE DAY, THIS MATTIFYING CREAM PURIFIES YOUR OILY SKIN, TIGHTENS THE PORES AND KEEPS YOUR FACE FRESHER FOR LONGER. BEFORE GOING TO BED, THIS DETOXIFIYING NIGHT CREAM REGENERATES AND ENERGIZES THE EPIDERMIS, LIGHTS UP THE COMPLEXION AND MAKES THE WHOLE BODY FEEL FRESH AND INVIGORATED.